Camp Aldersgate, often referred to as a “home away from home,” is the only camp in Arkansas uniquely dedicated to serving individuals with special needs in a camp setting. This outdoor oasis in the heart of Little Rock provides an ideal setting for programs that aim to: strengthen personal and social development, promote healthy lifestyles, enrich communities, and foster environmental awareness in each of our participants. 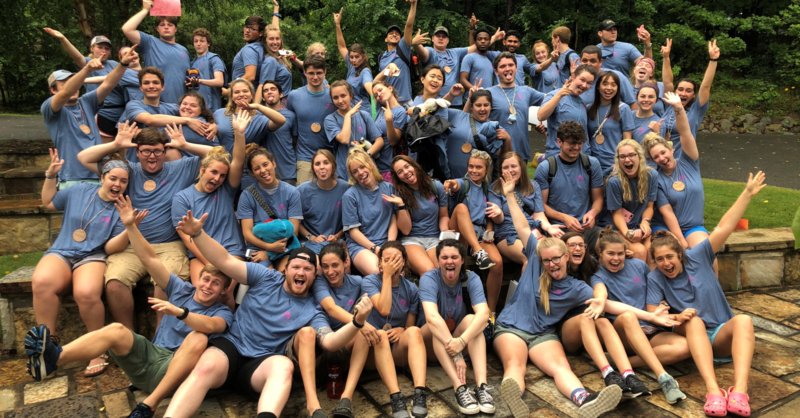 In this role, counselor staff will live with a small group of campers Sunday to Friday as they experience all that a traditional residential camp has to offer. Your duties include: supervising a cabin group, assisting campers with personal care, maintaining safety, acting as a role model, and enjoying camp activities. If you are passionate about the outdoors, enjoy helping others, and have a sincere desire to work with children with special needs, we have a position for you! This is your chance to develop your skills in a professional environment, get paid to have fun and love your job! To apply today, please download the New Counselor Application. Applicants must be at least 16 years or older, have a high regard for safety, basic knowledge of child development, good communication skills, and the ability to complete required background checks and trainings.